Sacramento, Calif. — Governor Gavin Newsom, delivering his first State of the State address before a joint session of the California Legislature on Feb. 12, 2019, indicated that he supports changes to high-speed rail plans while not totally abandoning the project. Speaking about California’s high-speed rail project, he said, “I have nothing but respect for Governor Brown’s and Governor Schwarzenegger’s ambitious vision. I share it. And there’s no doubt that our state’s economy and quality of life depend on improving transportation. But let’s be real. The project, as currently planned, would cost too much and take too long. There’s been too little oversight and not enough transparency. “Right now, there simply isn’t a path to get from Sacramento to San Diego, let alone from San Francisco to LA. I wish there were. However, we do have the capacity to complete a high-speed rail link between Merced and Bakersfield. I know that some critics will say this is a ‘train to nowhere,’ but that’s wrong and offensive. The people of the Central Valley endure the worst air pollution in America as well as some of the longest commutes. And they have suffered too many years of neglect from policymakers here in Sacramento. They deserve better. 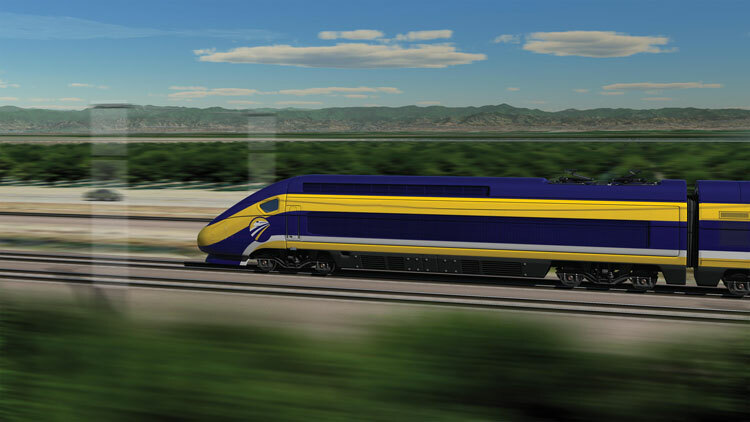 “High-speed rail is much more than a train project. It’s about economic transformation and unlocking the enormous potential of the Valley. We can align our economic and workforce development strategies, anchored by high-speed rail, and pair them with tools like opportunity zones, to form the backbone of a reinvigorated Central Valley economy. Merced, Fresno, Bakersfield, and communities in between are more dynamic than many realize. “We will continue our regional projects north and south. We’ll finish Phase 1 environmental work. We’ll connect the revitalized Central Valley to other parts of the state and continue to push for more federal funding and private dollars. But let’s just get something done. “For those who want to walk away from this whole endeavor, I offer you this: Abandoning high-speed rail entirely means we will have wasted billions of dollars with nothing but broken promises and lawsuits to show for it. And by the way, I am not interested in sending $3.5 billion in federal funding that was allocated to this project back to Donald Trump. Nor am I interested in repeating the same old mistakes. “Today I am ordering new transparency measures. We’re going to hold contractors and consultants accountable to explain how taxpayer dollars are spent – including change orders, cost overruns, even travel expenses. It’s going online, for everybody to see. “You’re also going to see some governance changes, starting with my pick for the next chair of the High-Speed Rail Authority, Lenny Mendonca, my Economic Development Director. Because, at the end of the day, transportation and economic development must go hand in hand. “We also need a fresh approach when it comes to meeting California’s massive water challenges,” he said. “We have a big state with diverse water needs. Cities that need clean water to drink, farms that need irrigation to keep feeding the world, fragile ecosystems that must be protected. “Our water supply is becoming less reliable because of climate change. And our population is growing because of a strong economy. That means a lot of demand on an unpredictable supply. There are no easy answers. “But let me be direct about where I stand: I do not support the Water Fix as currently configured. Meaning, I do not support the twin tunnels. But we can build on the important work that’s already been done. That’s why I do support a single tunnel. “And recycling projects like we’re seeing in Southern California’s Met Water District, expanding floodplains in the Central Valley, groundwater recharge, like farmers are doing in Fresno County. We need a portfolio approach to building water infrastructure and meeting long-term demand. “To help bring this balance, I’m appointing a new chair of the California water board, Joaquin Esquivel.